Stunning double cushion halo design. Exquisite craftsmanship and attention to detail. 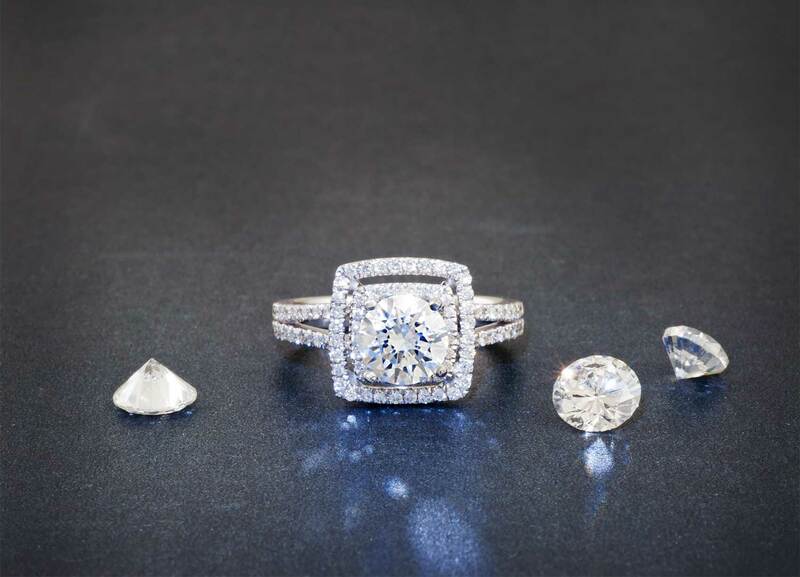 Your choice of center diamond allows you to save thousands. When you are in the market for a diamond engagement ring, the halo design is bound to show up in your search. It is a modern classic that highlights and enhances the center diamond more than most traditional wedding rings. The small accent diamonds that surround the main round center diamond make it appear larger and give the overall ring a balanced and striking look. The rounded square look of the cushion shaped halo also adds a vintage feel to the piece when compared with the more common fully round halo. 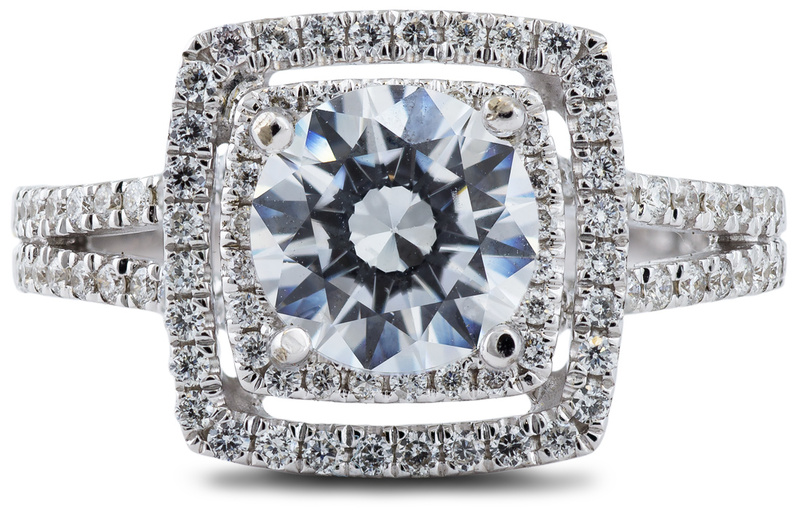 Our white gold double halo engagement ring setting takes the halo concept to a whole new level. 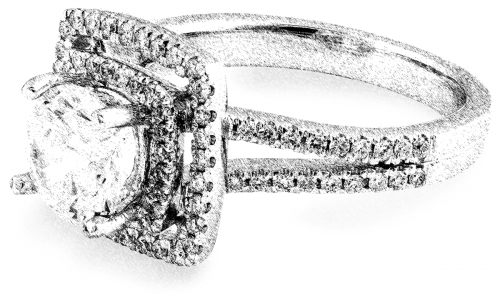 With two cushion shaped halos surrounding the round diamond, the effect is doubled. This setting has a huge look that’s sure to grab attention. The quality of the design and craftsmanship is incredible as well. Each of the 96 accent diamonds was hand picked and set by hand into the premium 18k white gold setting. Only high quality G color and VS clarity diamonds were used. Another key benefit that you get when you buy your double halo wedding ring from us, is that we can help you find the perfect center diamond. Our diamond experts are GIA trained, so they know more about diamonds than you can imagine. 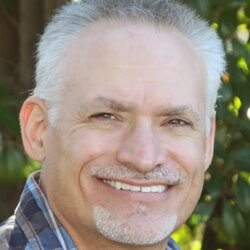 We use that knowledge to search our suppliers’ inventories and our own to find hidden values that others would miss. This can save you thousands and help you end up with a more beautiful diamond than you thought you could find in your budget. Choose your ring size and pick the center diamond that fits your style and budget. Once you have everything just right, go ahead and place your order. Want more customization options? Would you prefer a different metal like rose gold? No problem! Contact us with your ideas, and we’ll do everything we can to make them a reality.